New mother, Shirley Yeung’s (楊思琦) return to Hong Kong was closely followed by many people eager to see whether she and ex-boyfriend, Gregory Lee (李泳豪), will have any possibility of reconciliation following last year’s breakup scandal. Gregory sent his blessings to Shirley, while indicating that he had let go of the hurtful past and wished to move on in life. 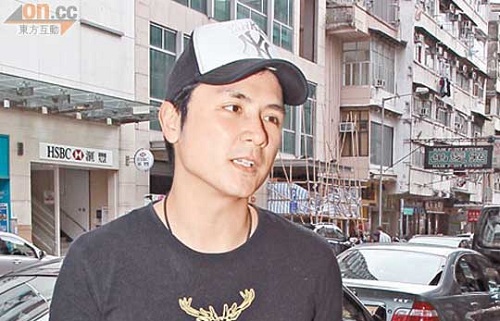 Yesterday, Gregory claimed that Shirley’s return to Hong Kong did not disrupt his emotional balance and obliterated reconcilation possibilities. However, was Gregory truly as composed as he appeared? When rumors initially surfaced that Shirley had broken up with Andy Ng (吳帥), the alleged father of her baby, Gregory professed that he had lost sleep for an entire week. He appeared to still care for the well-being of Shirley, offering to help her as friend if necessary. Gregory indicated the wish to put behind the pain and not re-enter a relationship with Shirley, who had hurt him deeply in last year’s breakup. Asked whether he wished to have Shirley apologize for hurting him in the breakup scandal, Gregory said, “There is no need to do so! The past is the past; we will lead independent lives from now on.” Gregory expressed the need to move on with his own life after heartbreak. “What happened in the past, even if I did not want to let it go, I have to forget. At this moment, I still feel helpless over the matter.” He stated that he will not initiate contact with Shirley. Gregory stated that he will focus on his career from hereafter, with actions being stronger than words. He noted that he will be increasingly involved with events at his car racing school. Gregory’s father, Lee Ka Ding (李家鼎), expressed the same sentiment that the Lee family appeared eager to move on with their lives; as Ding Yeh has already put behind his initial anger towards Shirley for hurting his son. Jayne: Forgiveness or moving on, while leading independent lives? Reconciliation or not, I support Gregory and Shirley to do whatever they wish as long as they will be happy in the long-term. I think it’s time for the press to leave Gregory alone. it’s not his role to play “white knight” and rush to Shirley’s defense. Decisions were made, life goes on. I agree and what is done is done and I hope that Gregory will be left alone from now on. He deserves to move on and be happy with his life and not lament about the tragic past. Agree, the “doggies” should leave him alone as it’s obvious that he doesn’t want to be associated with her anymore. Who can blame him? He love her deeply and she repaid him by presenting him a “green hat” and a public humiliation. I agree, just let him live his life in peace. I bet this will follow Gregory for the rest of his life. I am not sure if this will follow him for the rest of his life. Time will allow everything to pass, especially once he finally finds someone else and has his own family. Yes, ppl will forget the crisis of Shirley and Gregory in the future as there won’t be nothing to feed the reporters anymore. She will continue with her daughter and he will continue with his horse race. Nobody will bother to see who and it’s the end of the story. ^_^ I look HK reporters, they do anything to destroy life. Good for Gregory to move on. For his own sake and also for others’ sake. Hope the Lee family especially Augustine will do the same thing. Frankly,I dont trust Gregory’s statements…. His action may speak louder than his words but will never be louder than his heart!!! I suspect he’ll hide behind the scene crying and begging himself desperately to reconcile his past tragic relationship with Shirley. “Who is more desperate for who?” is yet to be seen……..Time will speak for itself!